When people think about teaching they often think of school teachers that are severely underpaid and extremely overworked. If you are looking to retire early or quit your 9-5 then teaching isn’t probably an option for you. The Internet opened the door for everyone to continue their educations from anywhere in the world. If you’ve ever wanted to learn how to train llamas but weren’t sure where to look, you could just go to Google and discover it. 20 years ago this wasn’t possible, but now it is. 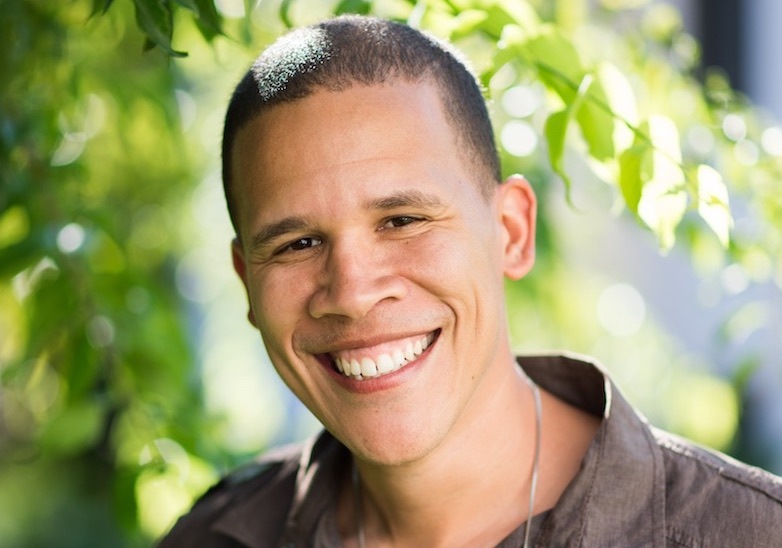 I’ve dabbled in over 10 different online businesses over the past 10 years and teaching has always proven to be the most lucrative. Because people are always looking to improve and they are willing to pay for it. If you really want to make money on your own then you need to provide some type of value that people are willing to pay for. People are always willing to pay for resources that promise to make them better at something. So when you see people telling you that the best way to make money is through online courses and ebooks, don’t get discouraged and think that it is the only way. It isn’t. It just happens to be one of the most effective because people want to learn. The first concern many people have when they think about becoming an online educator is that they think they don’t have enough knowledge to teach anything. You need to cut that out right now. You don’t need to be an expert to teach. You just have to know more than the person below you. For example, let’s say you don’t know anything about WordPress. If you devoted a whole weekend to learning WordPress then that means you have more knowledge about it than 99% of the people out there. Some people might not want to go and find all of the different resources to help them learn WordPress like you just did. Instead, they want a single resource that skips the nonsense and gets right down to it. You can create that resource and people will pay for it. One of the ways I used to make money in college was by selling my class notes. I didn’t know more about the subject than others, but I organized my notes in such a way that it made it easier for others to learn. If you are starting from scratch learning something new then take some notes. Those notes can turn into blog posts. Those blog posts can turn into ebooks. The biggest hurdle to becoming an online educator is realizing you don’t need to be a professor. You just have to be someone willing to share their knowledge. The next hurdle is finding an audience. I always say that the easiest part of being an online educator is creating the materials. The hardest part is finding the people that want to buy them. There are a number of different ways you can go about finding an audience, but the #1 way is the first method we will look at in becoming an online educator. You might think blogs are ridiculous or you might not have any insight into them at all. Either way, blogs are one of the most powerful marketing tools you have at your disposal and the best way to get into being an online educator. Blogs are great because they become the gateway to your other resources. For example, this post you are reading now is free and so it exposes you to my teachings. If you decide to sign up for the mailing list to receive something then that walks you further along the path. Maybe down the road you end up buying one of my courses. It wouldn’t have happened without a blog. With a blog, you can build an audience that is your own. That is important because when you’ve built up an audience of True Fans then you have no limit to how much you can earn. If you are going to create online courses then you need some type of video platform to offer them. While there are a ton out there, Udemy is one that you should consider because it has a built-in audience for you. Udemy is an online course marketplace so if you upload a course to the site you have a chance of random people coming by to purchase it. Udemy handles a lot of the marketing and it simply comes down to you getting good ratings for your courses. It’s similar to putting a book up on Amazon. However, using Udemy doesn’t mean you should forgo creating a blog. A blog is still your best way of creating an audience that you can send over to Udemy whenever you create a course. If you aren’t sure about starting your own blog yet or are hoping to make money quickly then you should take a look into becoming a freelance writer. Because Content is King, many sites are willing to pay for the content people write. But guess what? If you want to land great freelance jobs then it helps to have…a blog. Why? Because nobody is going to hire someone until they see some writing samples from them. A blog acts like your portfolio so you always have a place to send people for writing samples. You don’t need to be a professional writer to get into freelance writing. You just have to have a decent grasp of whatever language you choose to write in and the ability to do some research. I know I make it sound easier than it is, but writing books can be very lucrative. I’m not talking about writing a book and trying to get it published by a major publishing company. You don’t need them. You can simply write your own books and publish them yourself on Amazon. There are a lot of authors making 6-figures from their $2-$5 books on Amazon. Just like with creating an online course the hardest part isn’t creating the book but building an audience that wants to buy it. You should consider starting a blog to build up that audience. You’re going to kill me by the end of this post if I bring up blogging any more times. Tutoring is a service that has been around since school was invented. With the creation of the web online tutoring has become a lot more commonplace. Instead of being in the same room as the student, you can simply teach them over video. Most people associate Etsy with arts & crafts, but it really is so much more than that. Selling activity packs allow parents and teachers to help young people not only stay preoccupied but learn at the same time. Show the world that television isn’t the best babysitter. If you think about all of the teachers that are there in the world then just imagine how many lesson plans are out there! Does it make sense to always create your own custom ones for your students when you can outsource that work to others allowing you to focus on other things? That’s the premise behind Teachers Pay Teachers. Teachers upload their lesson plans for other teachers to use. If you’re a teacher that has created lesson plans in the past then you might already be sitting on the resources needed to start making money today. Teaching will always be a great way to make money because people always want to learn. The challenging part isn’t coming up with an idea of what to teach or putting the materials together. The challenge is finding an audience. Education marketplaces come with built-in audiences but most of the high-earning independent educators make it through blogging. 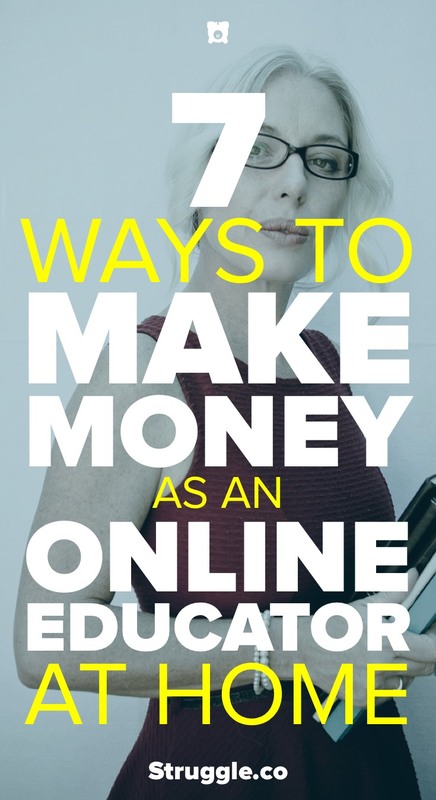 You don’t get what you don’t ask for so I’m asking you to take a second to share 7 Simple Ways to Make Money as an Online Educator with your audience. They respect great content.